Great Shape! Inc. Press Release: SuperKids Volunteer Gives the Gift of Literacy! Spread the word! Great Shape! 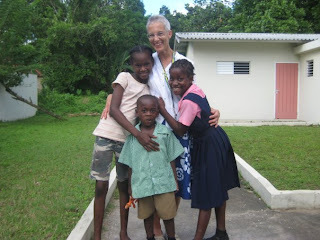 Inc. volunteer from Portland, OR Kay Knack just returned from Jamaica with SuperKids. Tis’ the season for giving and Kay brought literacy to thousands of children in Jamaica. Check out the story here. Previous post 1000 Smiles: The Numbers Are In! Next post SuperKids: The Numbers Are In!